June (Diaz) is a stereotypical rom-com heroine; a ditzy blonde haired single girl whose life is thrown upside down after she meets rogue spy Roy (Cruise) at the airport. After Roy kills everyone (except June) onboard their plane and then crash lands it spectacularly, he brings June along on his whirlwind journey of car chases, fights and secret agents. Roy is on the run from his bosses, but it’s not clear if he’s really a good guy or a bad guy, or simply just crazy . Everybody June meets on their journey seems to have a different theory, as they all try to persuade her to turn him in. 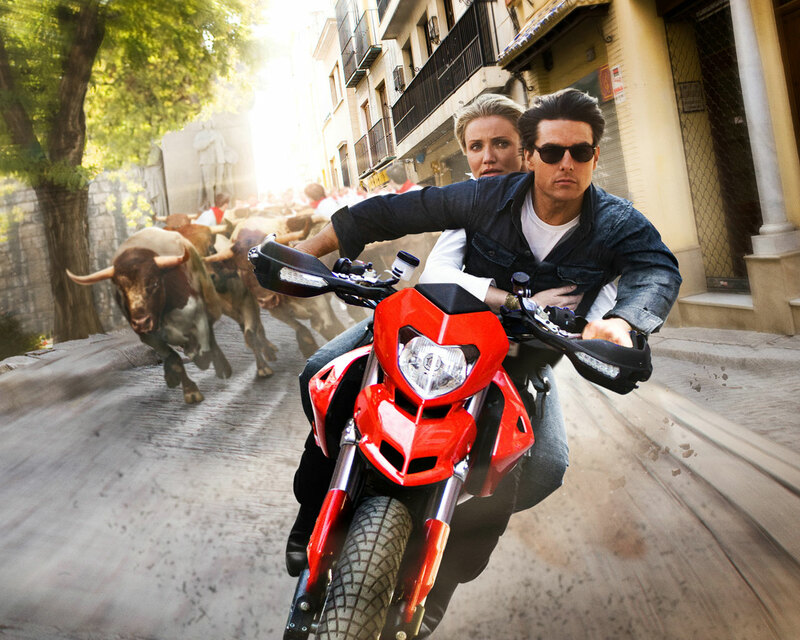 If you’ve already seen the trailer for Knight and Day then you’ll think that it looks like an action packed film, with some comedy and romance thrown in. However the only laugh out loud scenes are those that are in the trailer, and they are certainly not funny enough to make you laugh a second time around. The money for the film clearly went solely on paying for Cruise and Diaz, and whatever meagre scraps were leftover were spent on producing the film itself. The effects and CGI are shoddy, and so cheaply made that at points cars appear to drive themselves, and background scenery looks like it was made from paper thin cardboard. Presumably to save more costs, the film also uses the guise of having June and Roy drug each other when they travel through various countries, so all we get to see is a blurry eyed vision of where they have been, rather than any real exotic locations. 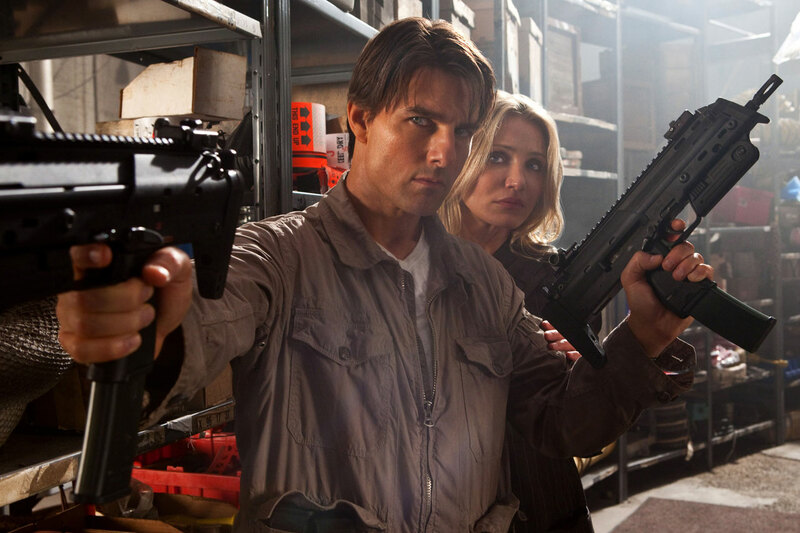 Cruise is good at playing the action hero and Diaz is fine at the romantic interest, but the film is so predictable, clichéd, and boring, that neither of their performances manage to save it. The plot is only just about comprehensible as it twists and turns back on itself and there are so few realistic events that it’s impossible to feel any empathy for June or Roy. With such lazy Hollywood films, there are always those that will argue that they are just harmless sit-back and enjoy movies, but there’s no enjoyment to be had in Knight and Day. It’s not funny or interesting; just dull and poorly produced. Unless you’re a die-hard Cruise or Diaz fan there is absolutely no value in going to see Knight and Day. If you’ve not seen the trailer you may laugh a couple of times, but for the other 100 minutes of the film you’ll be sorely regretting parting with your money.